Delhi sightseeing tour is the best way to explore the citys historical monuments, visit religious attractions or political institutions. Sightseeing in Delhi becomes a pleasure when you check out the city at your own pace. The adjoining cities. 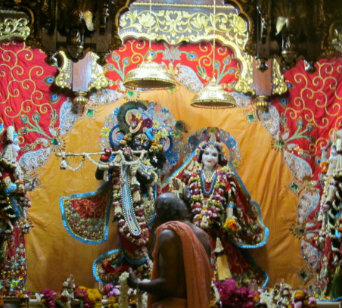 Mathura and Vrindavan host to hundreds of temples dedicated to Radha and Krishna and is considered sacred by a number of religious sects. 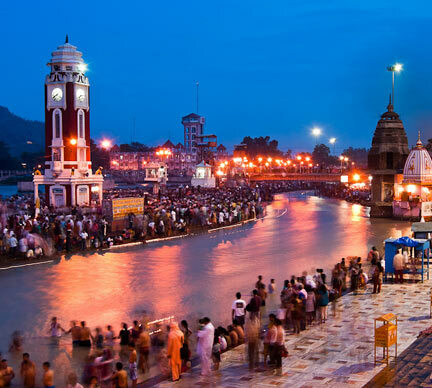 A same day tour from Delhi to the tri-cities on the banks of Yamuna - Agra, Mathura and Vrindavan is the best value for money as one gets to see all the 3 places in a day. Visit the Taj Mahal and Agra Fort in Agra, Krishna Janambhoomi and Dwarkadhish Temple in Mathura along with Banke Bihari Temple, ISKCON Temple and numerous other temples in Vrindavan as per your choice. 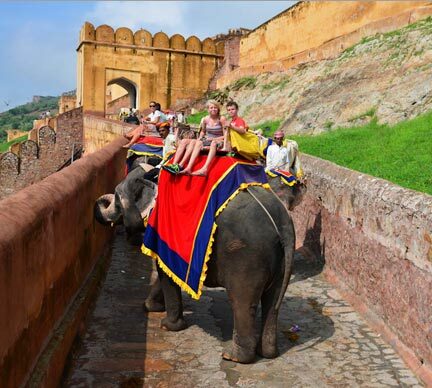 Explore Agra - The city of Taj in a day, with a trip to Taj Mahal and Agra Fort from Delhi. 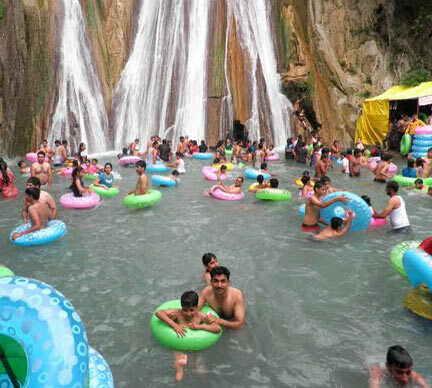 A 3 day tour of Mussoorie - one of the most popular hill station in North Indiia to visit the famous Mall Road, Gun Hill, Kempty Falls and indulge in some breath taking activities in Mussoorie Adventure Park. Mountain biking, trekking, rock climbing and rappelling are some activities you could conduct during a 3 day trip to this beautiful hill station. 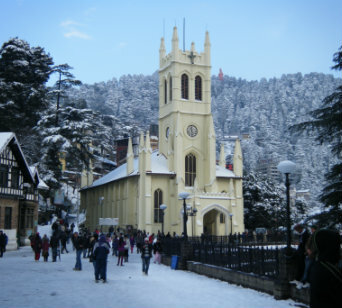 A Shimla Tour from Delhi to visit the famous attractions in Shimla like Mall Road, Christ Church and more along with a trip to Kufri and Jakhoo Hills. Nainital - A star of Kumaon Hills is a popular Nainital tour package to this famous hill station situated in Uttarakhand. This picturesque hill station located at an altitude of 2084m is set in a valley containing a pear shaped lake. 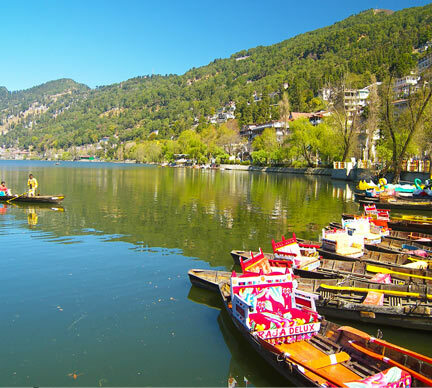 This 3 day tour package is an ideal long weekend getaway which covers sightseeing of all major tourist attractions in Nainital and surrounding areas. Manali, at an altitude of 2,050 m (6,726 ft) in the Beas River Valley, is a hill station nestled in the mountains of the Indian state of Himachal Pradesh near the northern end of the Kullu Valley. 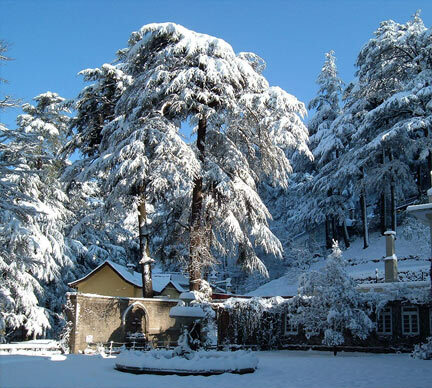 It is located about 270 km north of the state capital, Shimla. 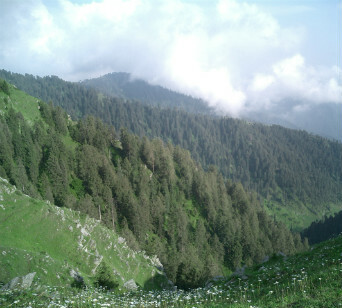 Manali is primary attraction for the tourists who want to visit the Himalayas. The Rohtang Pass is very popular among tourists & the nearby Kullu River offers excellent opportunities for rafting. 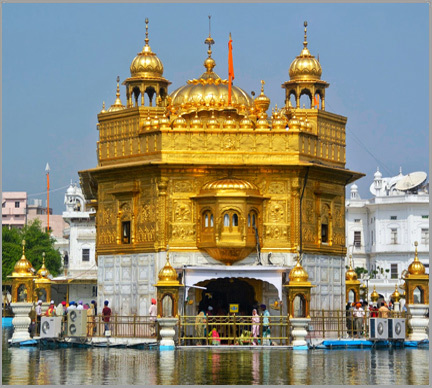 A 3 day cab package from Delhi to Amritsar Golden Temple, the spiritual centre for the Sikh religion is an ideal long weekend getaway which arises the feelings of spirituality and patriotism at the same time. This Amritsar tour from Delhi includes travel to Golden Temple, Jallianwala Bagh and a trip to Wagah Border. 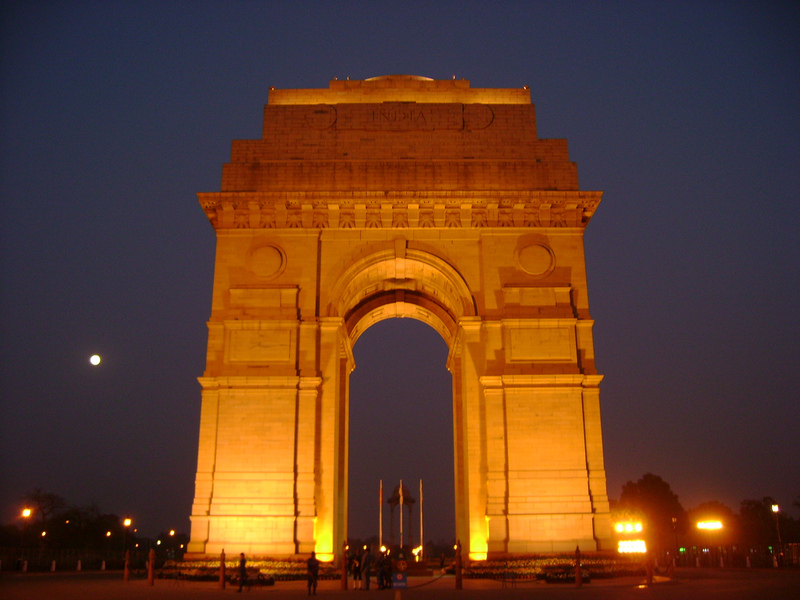 A 1 day Children's Tour of Delhi will cover important cultural, historical and educational sites in the Indian Capital. During this tour, children will be able to relate what they see with what they have learnt from their text books back at school along with having lots of fun. Delhi Darshan Tour is one of the finest ways to explore Delhi in 2 days to visit its various historical and cultural centres. Cabsforyou.com provides cab service in Delhi to check out the popular and imposing touristic sites during this exciting Delhi Darshan Tour. A spiritual tour of Brijbhoomi – the land of Radha Krishna to visit the temples and various places of historical importance where Lord Krishna and Radha were born and spent their childhood days. 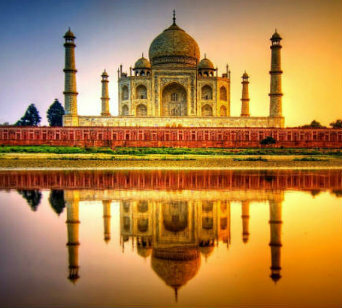 Golden triangle tour covers three important cities in North West India namely Delhi, Agra and Jaipur giving a clear insight of Indian Culture and Heritage. 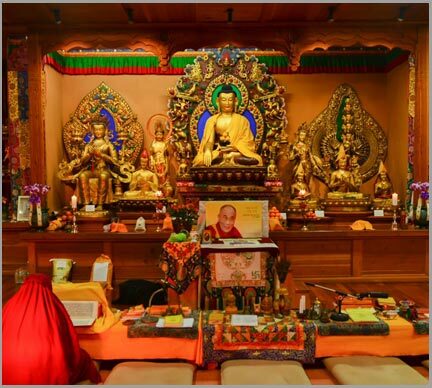 A 3 day tour which is a must for all leisure travelers, historians and cutlural enthusiasts gives an insight into rich Indian culture and its great history. A 3 day trip to Jim Corbett National Park, a famous tiger reserve in the Nainital district of Uttarakhand. 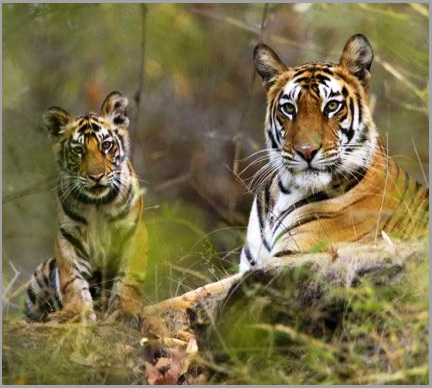 This Jim Corbett Holiday package is an ideal long weekend getaway from the busy hustle bustle of city life. Jim Corbett National Park tour package is a must for all wild life lovers, nature enthusiasts and tourists to see splendid landscape and diverse wild life in this beautiful and serene environment. 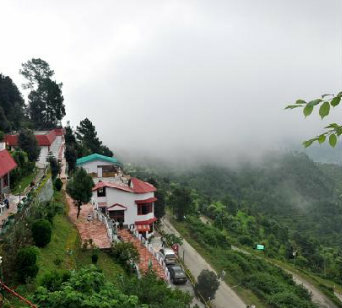 A 3 day tour of quietest hill station of North India is an ideal weekend destination in the Gargwal region. Lansdowne offers adventure activities like trekking and boating and water activity in Kho river. It is also a paradise for bird watchers and is a perfect place to meditate and relax. 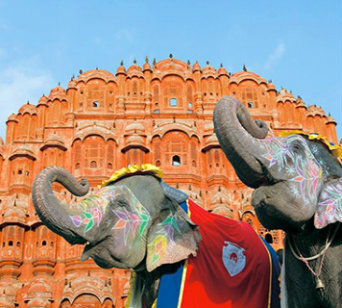 A 2 day tour from Delhi to Jaipur to visit this historical and culturally vibrant city is a good weekend getaway option. Jaipur has never been so near to Delhi with a smooth 4 - 5 hour drive from Delhi on NH8.